TULARE COUNTY – Tomorrow and Friday, the Kings-Tulare Homeless Alliance will hold its 11th annual Project Homeless Connect events to help provide housing, services, and hospitality directly to people experiencing homelessness. Project Homeless Connect is a one-day, one-stop event that connects those who are homeless or near homeless with a wide variety of immediate, on-site services and support for unmet needs. 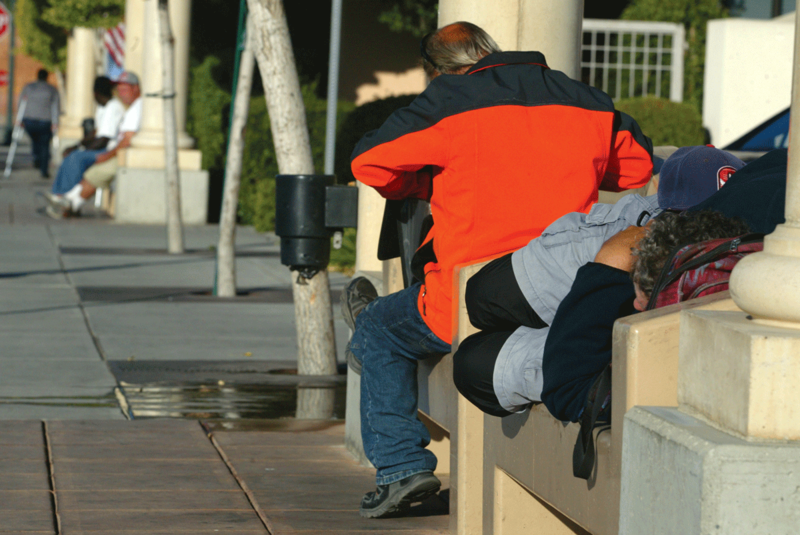 Nearly one-third of Tulare County’s homeless are in need of mental health services and more than half of those who attended the events last year did not have access to shelter. Finding permanent housing for those who are homeless and struggling with mental health issues is difficult but a recent action by the Tulare County Board of Supervisors is attempting to build more housing for this growing population of people in need. At its Jan. 15 meeting, the Supervisors unanimously authorized its Health and Human Services Agency (HHSA) to apply for $962,621 from the California Department of Housing and Community Development to build permanent supportive housing for people with mental health issues who are either homeless or at-risk of becoming homeless. Dr. Timothy Durick, director of Mental Health Services in Tulare County, said permanent supportive housing is not simply a bed in a room providing shelter from the elements, but also a place where residents are connected to resources including mental health, substance abuse, transportation, employment training and referrals through other local partners. He said families with children suffering from mental illness would also qualify for this type of housing. “Permanent supportive housing means this is their home, and it can be their home forever,” Durick said. Durick told the Supervisors that about half of the funds, $500,000, will be used to contract with Self-Help Enterprises (SHE) to set aside these at-risk housing units within their low-income housing developments. Betsy McGovern-Garcia, SHE’s director of real estate development, said the grant would provide five permanent supportive housing units as part of its Sierra Village apartments in Dinuba. The first phase of the project opened last July and included 44 units of affordable housing. The second phase of the project will include 64 units with construction set to begin this November and completed in November 2020. “We continue to see homelessness in the communities where we are working and we want to be part of the solution,” McGovern-Garcia said. SHE currently owns and operates 32 rental projects throughout the Valley totaling 1,458 units, including 11 permanent supportive housing units in Tulare County. In addition to the second phase of Sierra Village, SHE is also working on two other projects with permanent supportive housing as part of a 52-unit development in Madera and a 42-unit development in Mariposa. “This is the only way to chip away at the homeless problem,” McGovern-Garcia said. The Over-the-Counter program is funded by Proposition 2. Approved by voters in November, Prop. 2 allowed the use of $2 billion from the Mental Health Services Act (Proposition 63) approved by voters in 2004 for use on homeless prevention housing for those in need of mental health services. About $52.4 million is available for medium-sized counties such as Tulare County. To be eligible for the funding, Tulare County had to include a recent plan that specifies the goals, strategies and activities both in process or to be initiated to reduce homelessness and make it non-recurring. Durick said the county’s Health and Human Services Agency, which includes Mental Health, has adopted the Homeless Alliance’s Ten-Year Plan to End Homelessness. Supervisor Pete Vander Poel said he was shocked to find out the high cost of building affordable housing due to state requirements. McGovern-Garcia said these types of housing projects typically cost 25% more than private sector projects due to prevailing wage, lengthy environmental analysis, and energy efficiency standards that are much higher than the state’s average construction requirements. “The state has created rules and regulations that drive up the cost of housing,” Vander Poel said. Board chair Kuyler Crocker said he wanted to make homelessness a key issue at the board’s annual retreat in the coming months. Crocker said he wanted to update the 10-year plan developed by the Homeless Alliance and look into lobbying the state legislature to ease environmental restrictions on low-income housing that drive up the cost of construction.